That said, I don’t question the enthusiasm of Carnival’s brew master Colin Presby, who oversees two new brewers, including the on-site brewery aboard the Carnival Vista. The brewery on Carnival Horizon where he resides for months on end produces four styles: a farmhouse ale, a smoked porter, a West Coast IPA, and a toasted amber that ranks as the cruise-goers favorite. Before joining Carnival, he was head brewer at a small brewpub in Kutztown, PA, and his plans for introducing seasonal brews speaks to his love and dedication to the craft. And, as he told travel industry website Skift, he’s dreaming big, with plans to establish a fleet-wide brewing program. Look at other international cruise lines and you’ll find that breweries on cruise ships isn’t anything new. Germany’s AIDA Cruises introduced one several years ago. And even if the particular ship you’re floating on doesn’t have an on-site brewery, craft beer definitely has its feet firmly placed in that very large corner of the travel industry. Norwegian Cruise Lines partnered with Miami-based Wynwood Brewing to offer 24 beers on tap and 50 bottles from a handful of craft brewers. Two of Celebrity’s boats have Gastrobars with 40 beers on offer. 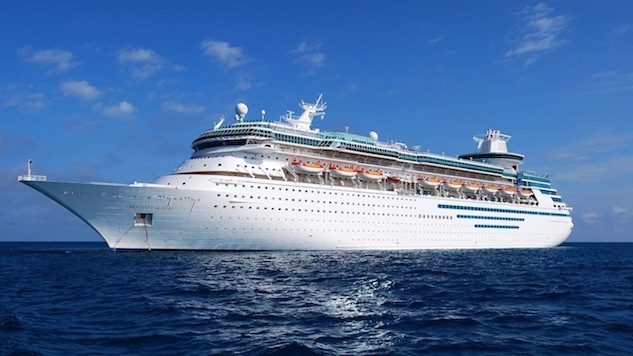 And you can score micro-brew mainstays like Stone and Hop Valley on three of Royal Caribbean’s cruise ships. Look inland, and you can even book a river cruise with Avalon Waterways that visits breweries, or hop on an Uncruise boat departing Seattle to visit local breweries along the coast of Washington state. To be fair, Carnival’s line of new beers is probably pretty good. And, if Presby’s dreams are realized, they might even become the reason some beer-loving travelers board the Carnival Vista. But to lure me on board, the beer would have to take on a culty, Pliny the Younger-level of attraction. Until then I think I’ll stick to what I think of as beer safaris. Dropping into a craft beer hot spot like Fort Collins, CO, or San Francisco, or—heck, pretty much everywhere, these days. Visit a brewery, explore the shelves of local bottle shops, visit another brewery, check out what the local Whole Foods has stocked, and then hit repeat for as long as my schedule, budget, and wife’s patience will afford. Craft beer has already become a staple of modern tourism, as evidenced by attractions like the Ale Trail in Bend, Oregon, and G Adventures’ eight-day package tour from Brussels to Antwerp that focused solely on touring the beers of Belgium. To me, placing my feet firmly on solid ground and staying for longer than a few hours in some port of call sounds infinitely more attractive than tossing back a few on the open seas.